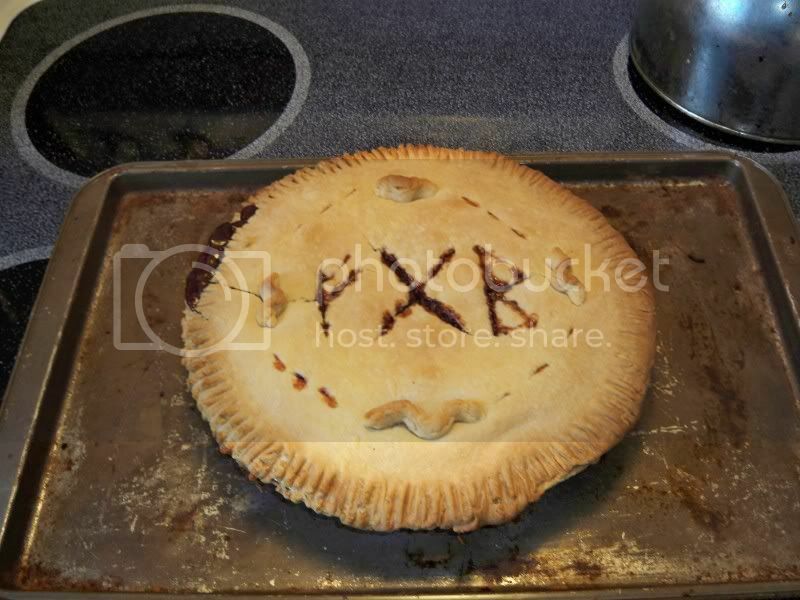 March 14, or 3/14, is celebrated as being an approximation of the mathematical constant pi. It’s a reason to celebrate being a geek and an excuse to eat pie, which are two causes I can support. Years ago, I started saying, “Pie is the most sacred of all foods.” At first, I think it was a joke–something I would say because I really like pie. But over time, I have come to believe that any food made with loving intention is sacred. For me, personally, pie reminds me of my grandfather, who would fill his kitchen table with pies and cakes and cookies on Sunday. He used to say that he only wanted to heat the oven once a week, so every Sunday meant a sugar rush for me. His baking still sends joy into my life, even all these years after his death. Wishing you and yours a happy Pi(e) Day! One of the Hearth Path teachers made sourdough starter with magical intent: created on the full moon, used to bake bread for rituals, and treated as a magical tool by both her and the path students at camp. Bringing starter home has been like a new baby coming into the house — it has to be kept warm (but not too warm), fed regularly, and kept clean. I, and the other community members who are tending the starter, are getting used to its quirks, notably a tendency toward dense but flavorful loaves. There’s something reassuring to posting “my first loaf was flat and dense (like a beanie), but remarkably tasty” and reading the same responses from others. The picture is of my second attempt — still quite dense, but improving — and of the half gallon of starter that’s about to go into three or four loaves for a class this weekend. So what does this all have to do with “magical” eating? It carries two kinds of symbolism: community magic and a “shaping” magic. I’m aware, when I work with starter, that it not only acts as a living organism but that the starter is actually a community of many organisms. Finding the right mix of flavor and texture involves a balancing act (or dance) of time, water, and temperature to coax out the right blend of organisms. Unlike my garden, I can’t go in and just pluck out “weeds” from the starter, but have to pay attention to what it is doing and nudge it in the corresponding direction. Magically, I may say “may my community be fed / may my community live in balance” while mixing the starter. More directly, I can nudge and guide and nourish the kinds of interactions I would love to see in the community around me. “Shaping” magic often comes into play while making loaves — images of family being fed, or those who need holding (as the gluten network holds the loaf together), or those who need to “rise up” from difficult circumstances, or that which needs to be increased. I can work with all those images and the energies they raise while shaping bread, tending it through the proofing process, and into the final baking. May we all be fed, especially in these difficult times.